As the input voltage is universally adjusted, no change to the fuse amperage of the unit is necessary. The types of fuses used on most HunterLab instruments are 3A, 250 VAC, SB 5 x 20 mm. Three (3) amps is the amperage for the built-in fuse for the instrument with 250 volts alternating current being the point where the fuse will blow protecting the system. 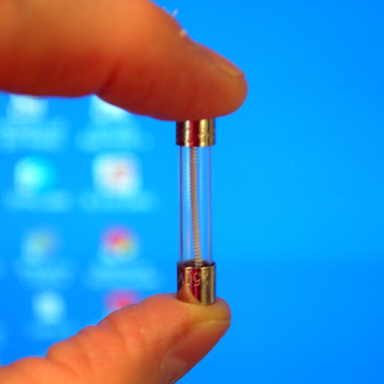 It is a “SB” or Slow Blow type fuse of size 5 mm x 20 mm that can be replaced by the user. 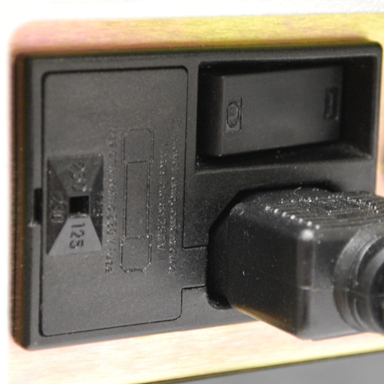 The fuse box location is typically beside the power cord at the back of the instrument.